Cuckoo for Coconuts: to-may-to or to-mah-to? Despite the heat today, I ventured out to the farmer's market at Union square. 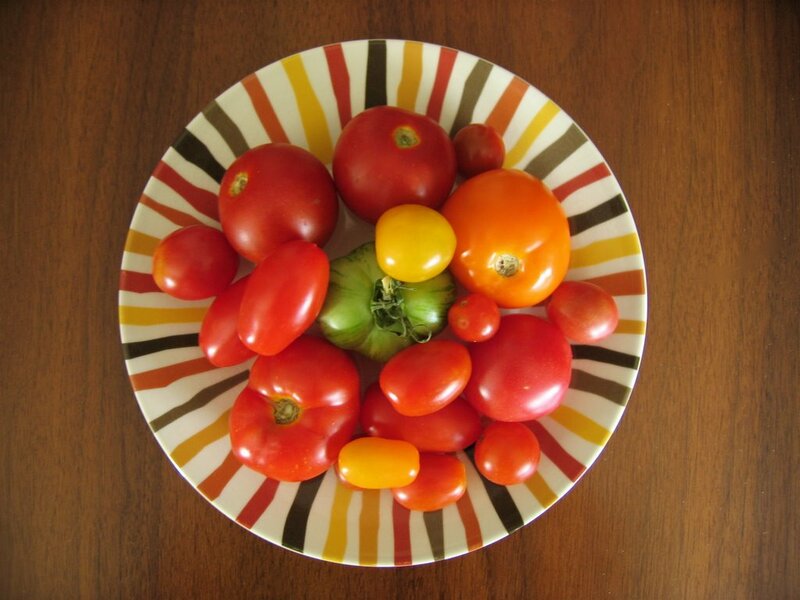 I could not resist picking up these heirloom tomatoes. They were super sweet... not to mention beautiful. I ate most of them one by one... like candy. Somehow that just says SUMMER. Those look so delicious! And of course they are styled beautifully on a perfectly matching plate. I wouldn't expect anything less from you! "I ate most of them one by one... like candy. Somehow that just says SUMMER." To me that says OBSESSIVE OVEREATING. You say "summer", I say "lardass."